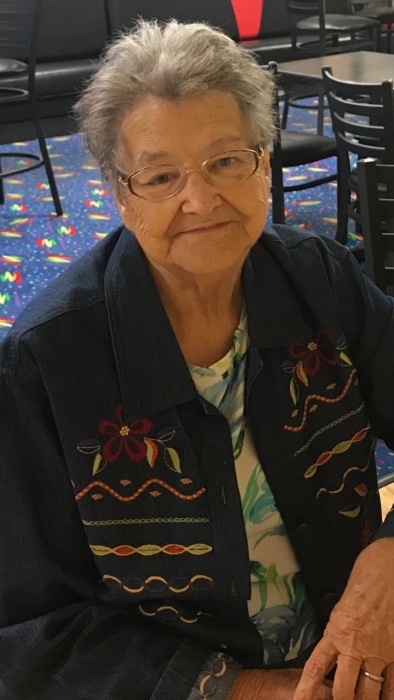 RAMSEUR — Margaret "Louise" Hall Welch, 83, passed away peacefully on Sunday, Jan. 27, 2019, at Hospice House of Randolph. Louise was a native of Wheelwright, Ky., and lived in Ramseur for her 64 years of marriage. Louise loved the mountains and doing anything crafty, especially crocheting. She was a loving, caring, giving wife, mother, maw maw and friend to many. She was especially enjoying her new friendships made since living at Clapp’s Mountain Top Residential Apartments. She was preceded in death by husband of 64 years, Russell Welch; parents, Oma and Evan Hall; brothers, Jesse, Ernie and Bobby Hall; and sisters, Reona Johnson and Shirley Daniel. She is survived by daughters, Teresa Welch of North Myrtle Beach, S.C., and Denease Walker (Doug) and Russelette Lyndon (Derrick), both of Asheboro; grandchildren, Dustin Walker of Phoenix, Ariz., and Cody Walker and Hannah Lyndon, both of Asheboro; sisters, Faye Craven and Estella Kearns; and brothers, Carl and Evan Hall Jr. Arrangements are entrusted to Midstate Cremation and Funeral Service. There will be a private service for family at a later date. In lieu of flowers, donations may be made to Hospice of Randolph, P.O. Box 9, Asheboro, NC 27204; or given to the family to help with expenses. We would like to thank Tyler from Clapp’s Rehabilitation and Nurse Practitioner Cindy, who helped with her care; and also the staff of Hospice House of Randolph, especially Christie and Jennifer.